Work doesn't have to be the enemy of wellness. Work can be a place where healthy habits fly out the window. Despite the daunting task of making time to take care of yourself, you’ll find yourself happier and more productive if you do. 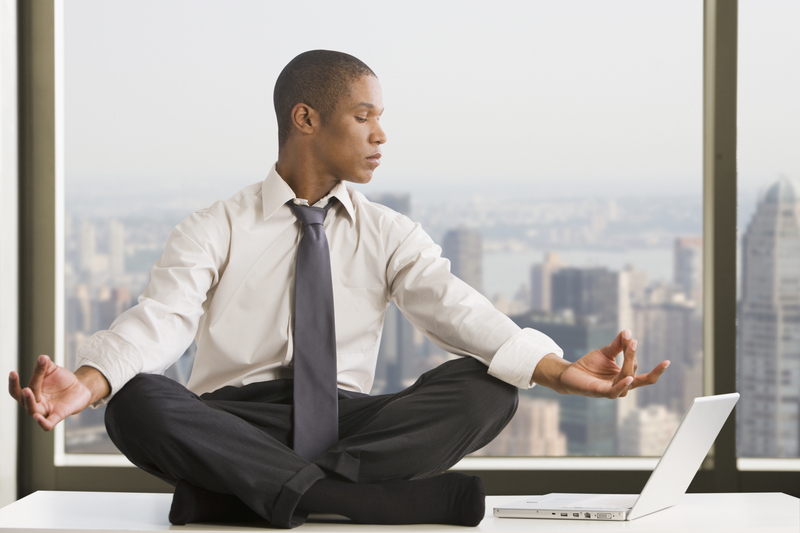 Consider these five tips for staying healthy at work. There’s a decent chance you don’t get enough water either because you don’t take in enough liquid daily or because you substitute water with carbonated beverages and other sugary drinks. Just because your schedule makes you feel like you should jump robotically from one task to the next without so much as a bathroom break doesn’t mean it’s a good idea. “Set a timer to force yourself to STOP! -every 30-45 minutes, the alarm (could be kitchen egg timer or an app) reminds you to stop, stretch, and take a break...walk the dog if you work from home home, leave the office for a quick walk, or meditate with an app like Calm (on the app store)...allow yourself to refocus,” suggests Stacy Lindenberg, chief change agent and owner of Talent Seed Consulting. Whether you’re closing your eyes to pick a mantra, an intention, or giving yourself a moment of silence, you’re helping yourself. “This practice speaks to mental health,” says Maren Showkeir, and author and a certified yoga instructor. Eating healthy food instead of sugary snacks keeps you from hunger pangs and overeating, says speaker and fitness professional Lorraine Bossé-Smith. “Sugar is an immune suppressor, so you are more likely to get sick when you partake in too many sweets. Lastly, add glutamine to your routine by drinking a glass of water with one teaspoon of the powder mixed in once a day.” Getting older means a significant decrease in our production of glutamine, which boosts the immune system, so consider adding this supplement to your daily routine, advises Bossé-Smith.